Oh, The Places You'll Go with the Latest Sansar Release! - Virtual Games Online - Virtual Worlds Land! 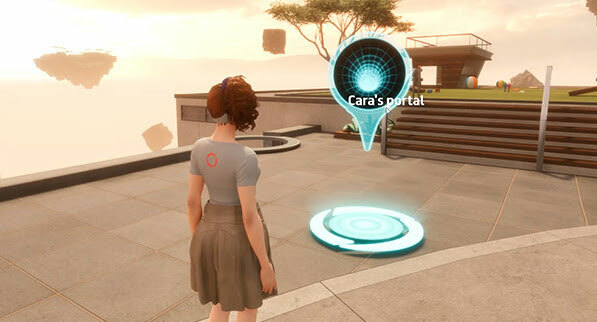 Travel the virtual reality worlds of Sansar more easily with portals! Exploring Sansar with friends? Make Atlas hopping a whole lot easier by throwing open a portal to a new experience, wherever you are - finally possible through our latest release, and just one of the many ways we're helping you go more places and meet even more people! • Travel with friends using portals. Simply type "/portal" + the experience link in chat and instantly create a teleport to another experience. • Access the Atlas more easily. Get where you need to go even faster with a more readable, searchable Atlas, which now autofills destinations as you type. • Move more naturally in VR. New IK improvements mean less lag from your hand controllers in VR mode, and even more reasons to gesture emphatically! • Script like you've never scripted before. New APIs mean new and exciting possibilities: haptic vibrations on your controllers when you pull a trigger, triggered sounds when people sit, and so much more. Test drive these features in Sansar today!